The Centre’s courses are taught under the broad outlines shown in Table 1. Compulsory for Students in all Faculties. Agriculture, Renewable Natural Resources, Animal Husbandry & Health. Required for students in all Faculties. Required for students in all Faculties . Please Note: * Education Science students and all students in the Department of Human Kinetics and Health Education are to register for GES 102, GES 103 or GES 106. 6 units from the General Studies are counted as compulsory. (a) Students shall register for General Studies Courses along with their departmental courses on-line on the University portal. 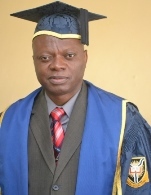 (b) Students admitted through Unified Tertiary Matriculation Examination (UTME) must not register for more than two(2) GES courses in a session (i.e GES 101 and GES 107 in the first year of their degree programme, GES 201 and one other in the second year and GES 301 and one other in the third year. (c) Students admitted through Direct Entry (DE) must not register for more than three(3) GES courses in a session (i.e. GES 101, GES 107 and one other GES Course from GES 102, GES 103, GES 106 for Science based courses and GES 104, GES 105 for humanities based courses. Table 3 shows the courses open to students at different levels and semesters. (d) Except for GES 101, GES 107, GES 201 & GES 301 no student shall register for a GES course in his/her area of specialization. Table 1 shows the combination of courses permitted. (e) Students shall normally complete their GES courses by the end of their penultimate year in the University (i.e. the session preceding their year of graduation). Medical students shall normally complete their GES courses during their pre-clinical years. (f) Students who fail a GES course shall re-register for the course and can only repeat the examination at the next available opportunity for students in their Departments/Faculties. (g) All complaints about the timetable, as well as lecture venues should be referred to the Sub-Dean of each Faculty. Faculties are expected to advise their students very well on the GES courses that will help achieve the objectives of the centre. The effective date shall be 2015/2016 academic session. For convenience and easy accessibility, the teaching and examination of GES courses are to take place as far as possible, in the students’ Faculties. where the course tutor(s) conduct the lectures and/or tutorials. Examinations of GES courses are usually taken at the end of the semester in which the courses are taught. For logistic reasons, GES courses are examined two weeks before examinations in all Faculties and the College of Medicine. All GES examination results are released at the end of the semester in which the courses are examined. All complaints relating to examination results must be made through the Sub-Dean, within six weeks of release.